AUGUSTA, Maine — Maine’s clean election system would be canceled effectively for at least the 2014 campaign under Gov. Paul LePage’s proposed biennial budget, the program’s director told the Appropriations Committee on Tuesday afternoon. LePage’s budget proposal seeks to sweep a total of $4 million from the Maine Clean Election Fund in 2014 and 2015. Jonathan Wayne, executive director of the Maine Ethics Commission, which administers the fund, said that would zero out the commission’s ability to provide funds to candidates and could lead to layoffs of some of the commission’s six staff members. Wayne told the Bangor Daily News on Wednesday that about 70 percent of current legislators were clean elections candidates, which means they agreed to use the publicly funded program for their campaigns instead of trying to raise their own funds privately. Adrienne Bennett, spokeswoman for Gov. 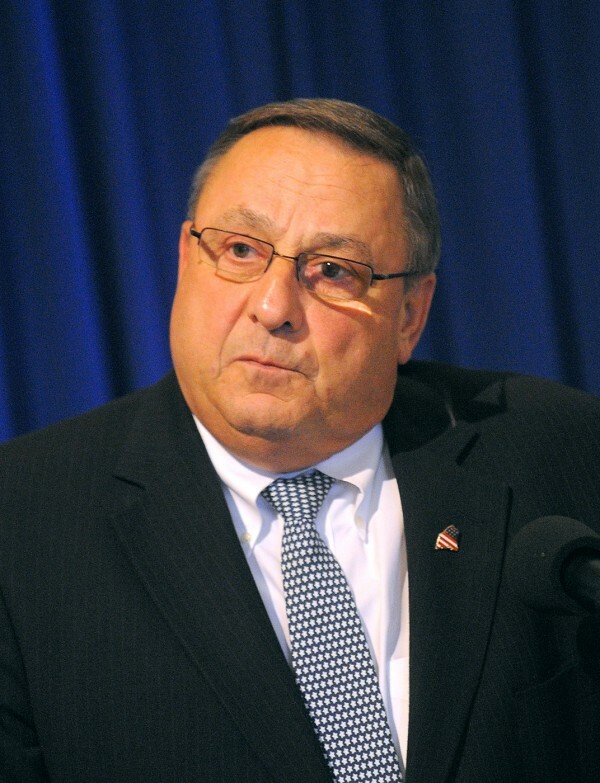 Paul LePage, said the language in Part MM of his proposed budget reflects the governor’s long-standing opposition to the clean election program. Wayne said participation in the program dipped by about 12 percent from the 2010 election to the 2012 election, which he attributed to two decisions at the state and national level. In 2011, the Legislature cut payment amounts to candidates by 5 percent. But the bigger impact on the program came from the U.S. Supreme Court, which in 2011 ruled it unconstitutional for a similar program in Arizona to pay matching funds to candidates whose opponents benefit from private donations or expenditures by political action committees. That decision was later reiterated for Maine’s program in U.S. District Court. According to Wayne and others, that makes running as a clean election candidate less attractive for some candidates who fear they would be far outspent by privately funded campaigns. The program currently provides a total of $5,366 for contested House of Representatives candidates in the primary and general elections. Contested Senate candidates receive a maximum of $25,483 for the primary and general elections. Gubernatorial candidates receive a total of $1 million from the program for primary and general elections, which according to Wayne is much lower than was spent by gubernatorial candidates in 2010. Independent Eliot Cutler spent about $2.2 million while LePage’s campaign spent about $1.4 million. Democrat Elizabeth Mitchell, who was the only clean election candidate in the general gubernatorial election, spent about $1.9 million, including matching funds that are no longer allowed in the program. Maine voters supported creation of the public election financing system during a 1996 statewide referendum to create the Maine Clean Elections Act. In 2000, the first election for which the program was in place, about 33 percent of candidates used the program. That percentage peaked at 81 percent in 2006 and 2008, but fell to 63 percent in 2012. Although Democrats have outnumbered Republicans using the system, both parties have participated heavily. In 2012, for example, 117 of 143 Democrat candidates for the House used the public funds, compared to 61 of 148 House Republican candidates. On the Senate side, 29 of 33 Democrats and 23 of 34 Republicans used the system, according to data from the Ethics Commission. Wayne said in addition to gutting the Clean Election Fund, LePage’s proposed cut in funding could hinder the Ethics Commission’s other functions, such as overseeing and compiling data on candidate spending, political action committees and lobbyists. Andrew Bossie, executive director of a group called Maine Citizens for Clean Elections, said eliminating the program would invite too much special interest money back into Maine government.